The Cincinnati premiere of Carl Orff’s not-so-sacred cantata as choreographed by Nicolo Fonte is paired with Balanchine’s setting of Tchaikovsky’s lush Serenade for Strings. The CSO plays, the May Festival Chorus sings … all at Music Hall. Get the scoop on this new production of Carmina Burana. This benefit for scholarships awarded by the Women’s Alliance Inc. offers performances by Dayton Contemporary Dance Company, singer Desiree Dawson and local student ensembles. Thursday, Feb. 8, 7:30 p.m.: “Dvojina” (“Duel”) – When a plane from Denmark to Greece is forced to land in Ljubljana, the paths of two young women cross. Sunday, Feb. 11, 7:30 p.m.: Open Screen – The second event highlighting local film and video makers; they’ll also attend the showing. TEDx Cincinnati | 3187 Linwood Ave., Cincinnati, OH 45208; contact form on the website. Finalists for May’s TEDx event each have 2 1/2 minutes to perform for an audience at The Redmoor in Mt. Lookout Square. That audience can include you. 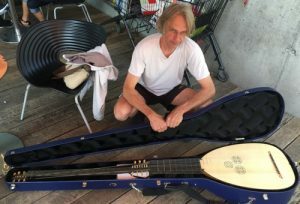 Speakers start at 6:30 p.m.
Saturday, Feb. 10, 3 p.m.: Caladrian Ensemble – Renowned lutenist Nigel North gives a recital of Bach in historic Old St. Mary’s Church (128 E. 13th St., Cincinnati, OH 45202). Sunday, Feb. 11, 3 p.m.: Collegium Cincinnati – A program of music from the Italian Baroque, featuring Vivaldi’s “Gloria.” The Collegium, led by Chris Eanes, is joined by his Cincinnati Boychoir in the chapel at Christ Church Cathedral (318 E. Fourth St., Cincinnati, OH 45202; 513-621-1817). 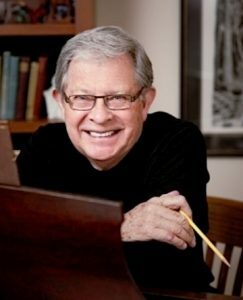 CCM’s sesquicentennial celebration continues with the debut of a commission by famed choral conductor Dale Warland. His “I Hear America Singing” sets verses from Whitman’s 1867 revision of “Leaves of Grass” – the year Clara Baur founded the Cincinnati Conservatory of Music. Also on the program: more of the Bernstein centennial (the “Missa Brevis”) and some of Brahms “Liebeslieder Waltzes.” In Corbett Auditorium. “A tour-de-force opportunity for CCM’s drama program…”Premiered in London in 2012, “L&I” is a tour-de-force opportunity for CCM’s drama program: all 30 students are cast as the play’s more than 100 characters – individuals trying to connect with each other. In Patricia Corbett Theater. It’s the last weekend to catch this unsettling examination of the power, nature, and purpose of art. Falcon warns of graphic violence, so take that into account. Yes, it’s a triple bill. Three exhibits run concurrently through March 17: “Alienable,” Karay P. Martin’s examination of the tension between women’s rights and representation, health care and the empowerment of personal narrative; “As in the Mirror,” self portraits by Ellina Chetverikova; and “Eternal Reflections on Belonging,” in which Boisali Biswas uses fiber as a window into two worlds. Exhibits run through March 17. Works by Heather Jones and Jeffrey Cortland Jones, husband and wife, and both inspired by the visually changing moments in the landscape, particularly at the horizon line. Artists’ Discussion: Feb. 10, 3 p.m. Reception: Feb. 10, 4-6 p.m. Runs through April 7. 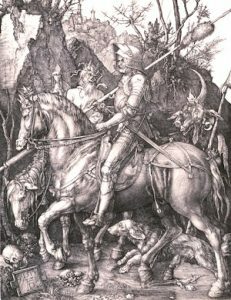 As part of the quincentennial of Luther’s “95 Theses,” this show examines the impact of the Italian Renaissance and the Reformation through the intricate prints of Dürer and his contemporaries.